#TechDiversity is proud to announce its continuing partnership with Vic ICT 4 Women in that association’s support of the 2017 #TechDiversity Awards program. 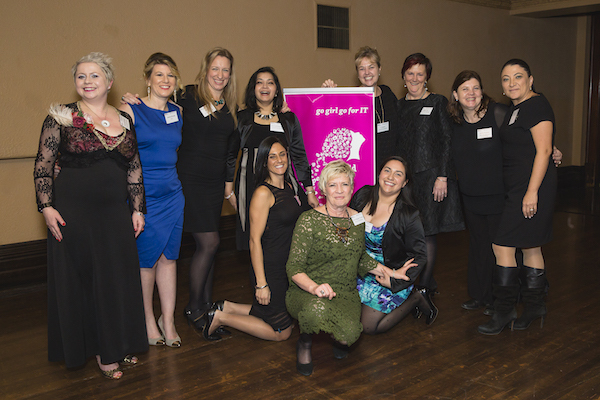 Vic ICT 4 Women is Victoria’s leading industry association dedicated to diversity in tech careers, with a specific focus on supporting women through the stages of entry, progression and retention. With programs that inform and support women right from school age all the way to the C-Suite, Vic ICT 4 Women ensures that female enthusiasm for ICT is encouraged, nurtured and passed along to the next generation of women. Notable programs include #BOLDMoves, which delivered a groundbreaking White Paper in late 2016, and Go Girl, a record-breaking program that successfully introduces the world of technology and its career paths to girls from years 7 to 11. This partnership enables the #TechDiversity Awards to better showcase the ongoing achievements of Vic ICT 4 Women in the gender diversity space, and to foster ideas and learning across the industry from these achievements. Chris Skipper-Conway, Chairperson for Vic ICT for Women, said: “Through Vic ICT 4 Women we showcase brave innovators and strong men and women and at the same time deliver regular programs that support and encourage women throughout their career. Co-founder of the #TechDiversity Foundation and convener of the awards, Deirdre Diamante, believes rewarding these efforts is essential to promoting inclusion within STEM. The #TechDiversity Foundation is proud to collaborate with leading organisations and anticipates a sustained partnership effort that spearheads diversity within technology. Award nominations from individuals and groups are now open via the #TechDiversity Awards website and will close midnight Friday 23 June 2017. Awards will be presented at a gala dinner on 2 August 2017, culminating in the announcement of the #TechDiversity Champion and Victorian Innovation Minister’s Diversity Award.